For Public Relations use only. Not for any additional usage unless a written permission granted by SA PRO, Inc. (c) SA PRO, Inc.
CHAIRMAN of Heir Holdings, Tony Elumelu on Friday told the International Monetary Fund (IMF) and other development party to provide alternatives to Nigeria if collecting loans from China was injuries to the nation’s economy. The International business tycoon spoke with State House correspondents after he paid a private visit to President Muhammadu Buhari at the Presidential Villa, Abuja. Reacting to the warning by the IMF to Nigeria to be weary of China loan, he said that anyone that was opposed to taking loan from the country should provide alternative source of funding. Mr Tobias Adrian, the Financial Counsellor and Director of the IMF’s Monetary and Capital Markets Department had warned on Wednesday during the launch of the Global Financial Stability Report for April, 2019 at the IMF/World Bank meetings in Washington D.C, United of America. According to him, “Capital flows, which includes capital flows from China are of course important for development. But Elumelu said nature abhors vacuum, hence the IMF, World Bank and other development partners should provide alternatives that will create jobs. Asked his position on the IMF warning, Elumelu said, “My position is that nature abhors vacuum, if you do not want Nigeria to take China loan, provide the alternative. Like I keep saying, they should also support the development of entrepreneurs, they should look at ways to help us eradicate poverty in a manner that is sustainable. “For me, one of the surest way to eradicate poverty is to ensure that our youths are gainfully employed through entrepreneurship. “Also to make sure that development agencies – IMF, World Bank and co help and support Nigeria to improve on her infrastructure, road transportation, access to electricity. 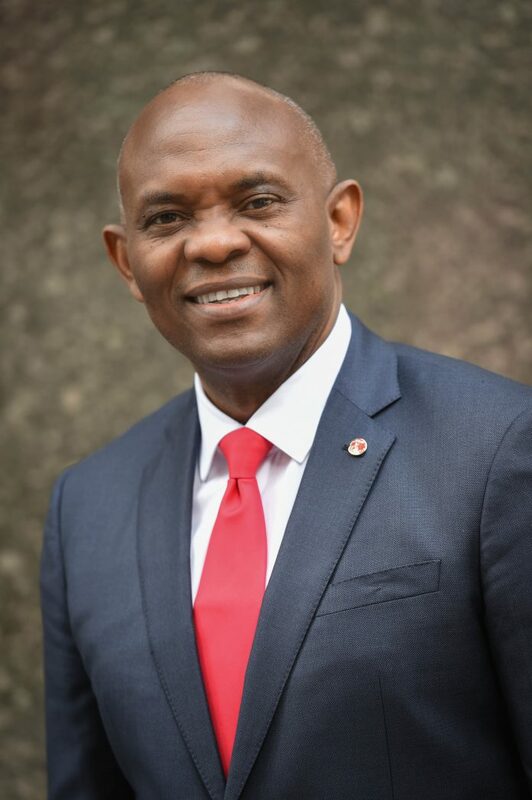 On his advise to the Buhari administration as it prepares to kickstart the Next Level of governance, Elumelu who congratulated the president on his resounding victory, said it was time to work. “On the economy and the next level, let us just continue in what we are doing, improve on them, increase capacity. “I operate in the power sector, we are the biggest generator of electricity in Nigeria through Transcorp power and I know first hand what efforts government is doing. “But we need to do more, we need to convert gas to power, we need to compliment what is going on already in agric space and as you know there is peace and prosperity in that sector but we need to add a little zeal to it to be able to attract investors.